LA TRINIDAD, Benguet – Former Benguet Rep. Samuel Martin Dangwa, one of the few remaining influential leaders in the province, passed away at around 8:56 pm Wednesday due to a lingering illness. Dangwa’s remains is open for public viewing in their residence at barangay Cruz until April 8, 2019 before being brought home to their ancestral residence in Cadtay, Kapangan on April 9, 2019. 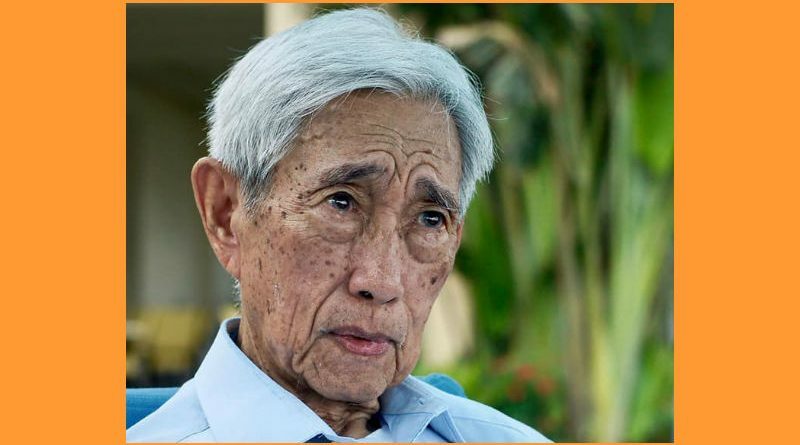 Dangwa’s burial is initially set on Thursday, April 11, 20918 where he will be accorded full military honors in recognition of his unwavering and uncompromising service to the people when he was able to hold various key positions in the local and national governments for over three decades. “It is with deep sadness that our Father Atty. Samuel M. Dangwa, former Congressman of Benguet has passed away yesterday (April 3, 2019),” his son Nelson Dangwa said in a statement. As a symbol of mourning for the untimely demise of a well-loved and well-respected leader and elder in the province, the Philippine flag was hoisted at hmalf mask right within the Provincial Capitol grounds and in the 13 municipalities where Dangwa served as a veteran public servant. Various leaders from the different parts of the Cordillera expressed their sincerest condolences to the Dangwa family for the untimely demise of one of the remaining few respected elders in the region. Dangwa also serve as the vice governor of the province from 1972 to 1980 and was an assemblyman in the regular Batasang Pambansa from 1984 to 1986. Dangwa served as representative of the province from 1987 to 1995 and from 2001 to 2010. Aside from being accorded with the appropriate military honors, traditional rituals will also be performed during Dangwa’s wake pursuant to the indigenous way of giving the due respect to a respected elder who passed away. Former and incumbent members of the House of Representatives are also expected to pay tribute to their colleague who was able to help in advancing the state of Benguet through his representations in the various committees in the House that facilitated the infusion of appropriations for vital infrastructure projects. Photo lifted from Nelson Dangwa Facebook Page.